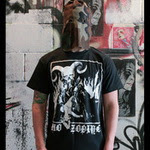 Holy Mountain Printing has couple of new No Zodiac shirt designs in their webstore. Click here to check it out. The band is working on debut full length so stay tuned!